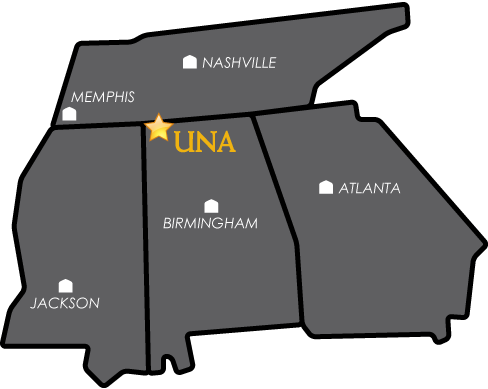 The UNA Department of Music offers multiple degrees and private study opportunities for students. Bolstered by superior performance ensembles and outstanding music faculty, the department provides students an outlet to IGNITE their passion for the arts with numerous opportunities to perform and connect with their fellow students and community. The Department of Music remains a consistent resource of excellence for the University of North Alabama, the Shoals Region, and beyond with its competitive scholarships, performance awards, and its status as a leader in the music education field. Take some time to browse around our site, and get started on your music journey today! Follow us on FB and Instagram @unamusic1!